Ever wanted to know what it would be like to have your own pub? 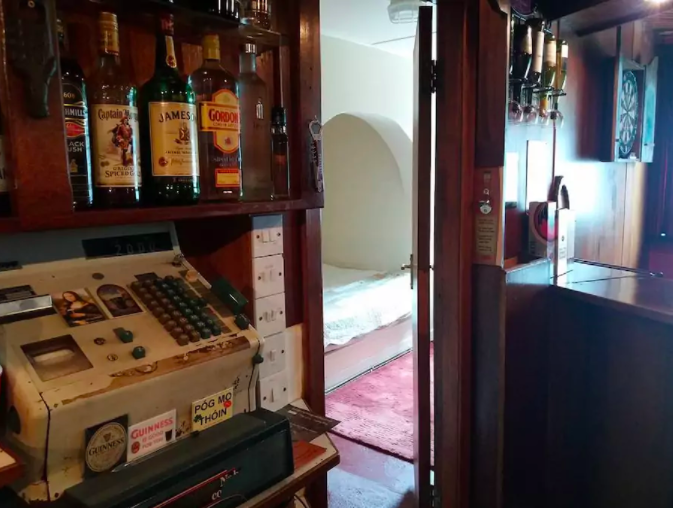 Well, you can find out if you fancy having a different sort of staycation - because you can actually rent a pub on Airbnb. 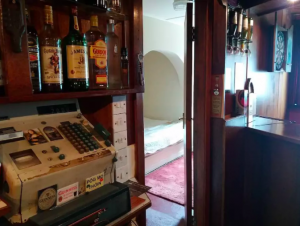 In what is the most unique accommodation of its kind in Ireland (and the world!) this self-catering pub is located in the small town of Aglish, Co.Tipperary. How cool would it be to stay here?! 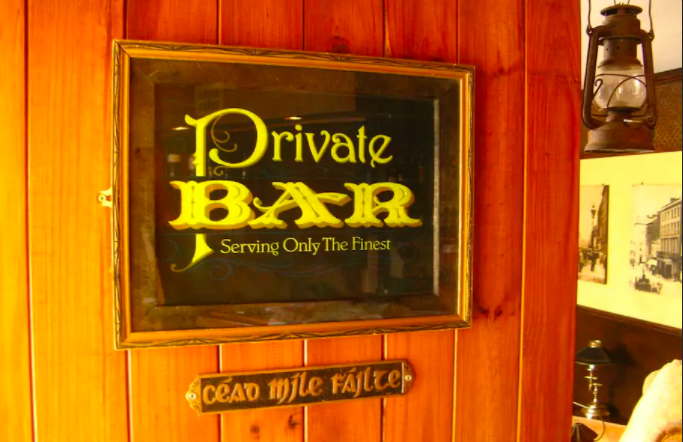 As soon as you step inside Conroy's Old Bar (run by hosts Erron and Dave), it's the real deal. 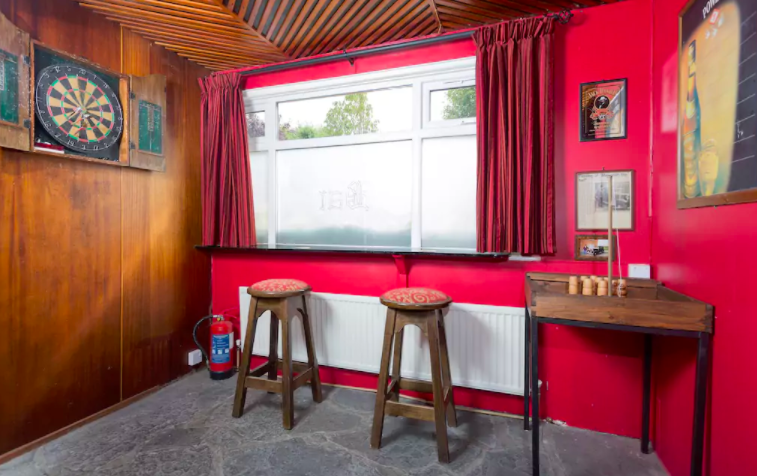 The pub has all the elements of an 'actual' bar - a snug, an open fire, a darts board, a cash register, even a beer garden. Bear in mind, the booze is all there for show. The bar doesn't stock any alcohol so you'll need to bring your own. Best of all? You get the whole pub to yourself so it's the perfect weekend escape. 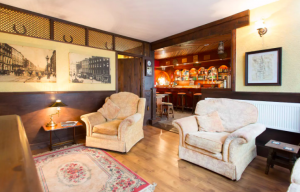 The accommodation has two double bedrooms and sleeps four guests - ideal for you and three pals. Don't go booking Conroy's though if you're looking for a party spot. It's more a secluded place where you can chill out with your friends for the weekend and get away from everything. Also you'll need a car. The Airbnb is quite rural - the nearest shop is 4 miles away while the closest restaurant is 6 miles away. 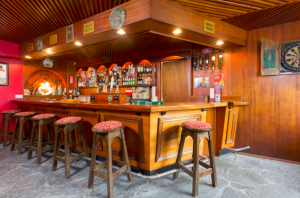 It's a minimum two night stay in Conroy's and the whole pub can be rented out at €461 (including service fee) for both nights. 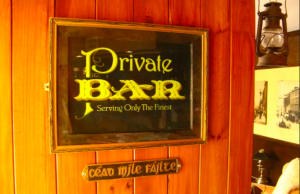 For four friends, it works out around €58pp for one night which ain't bad at all! The reviews are absolutely glowing as well. We didn't choose the pub life, the pub life chose us.